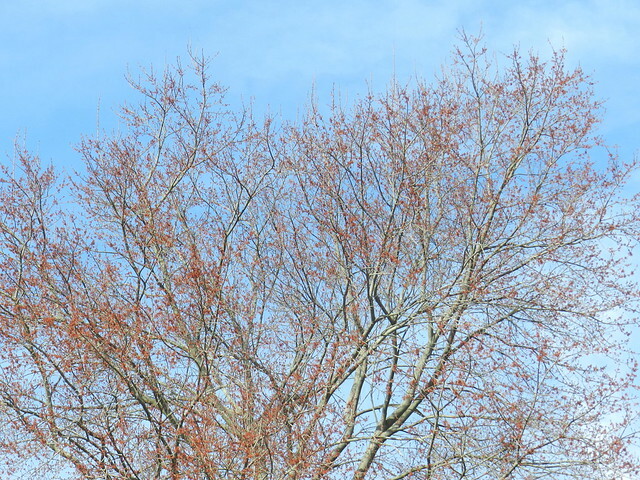 Carver's Photographic Journey: SkyWatch Friday: What happened to spring? 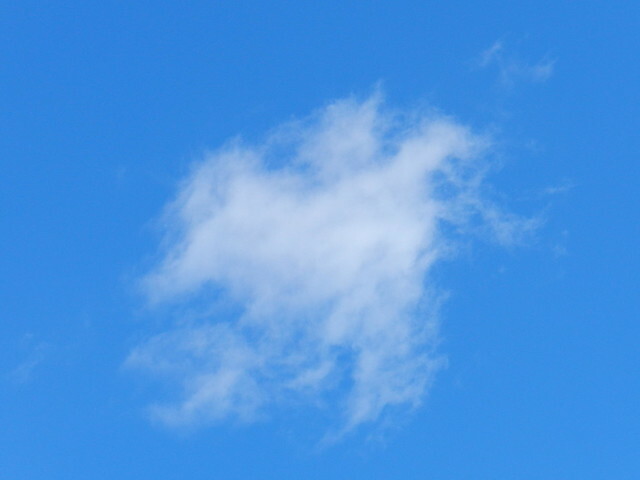 I'll begin this post with the end of last week because those days had the last of the blue that I've seen in the sky. Spring was going full force before winter came back. I am usually not in a hurry for winter to end because I don't like hot weather. However, this year I'm definitely ready for spring to return. Saturday was the last day we had before the skies turned gray. 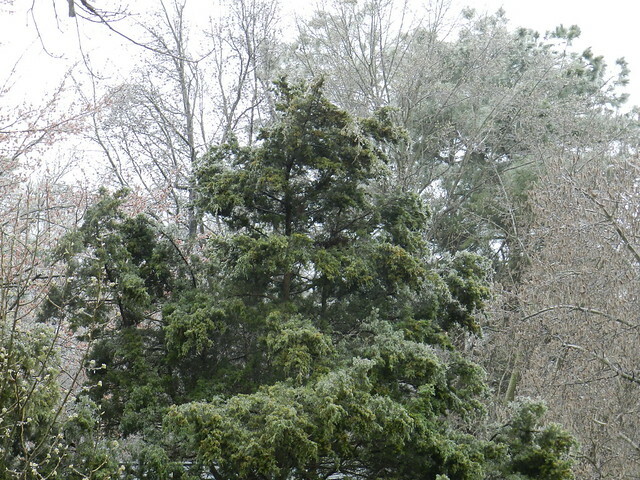 Sunday was rainy then Monday began with rain, followed by sleet, freezing rain and a little snow mixed in. 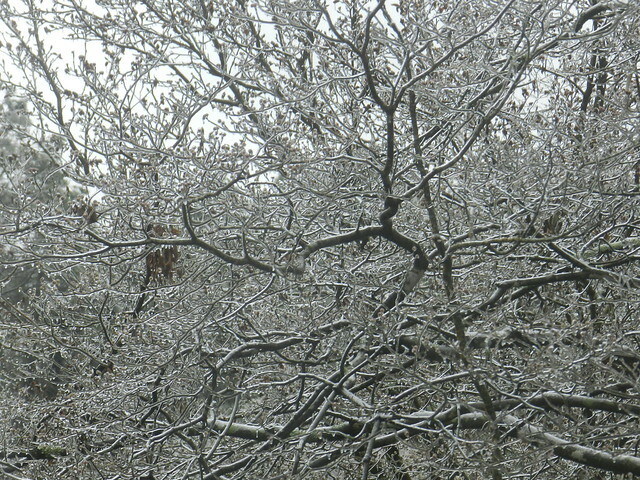 I think ice trees are very beautiful but this time of the year I am ready for an end to the ice. 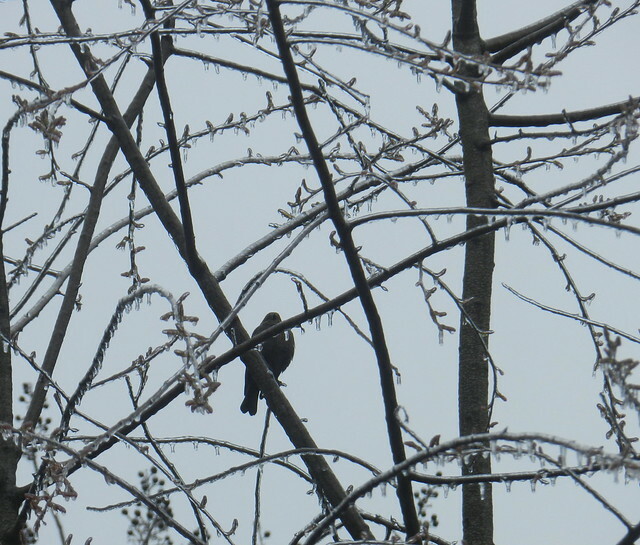 I feel sorry for the birds too because they seemed to be going into their spring rituals before the weather turned nasty. 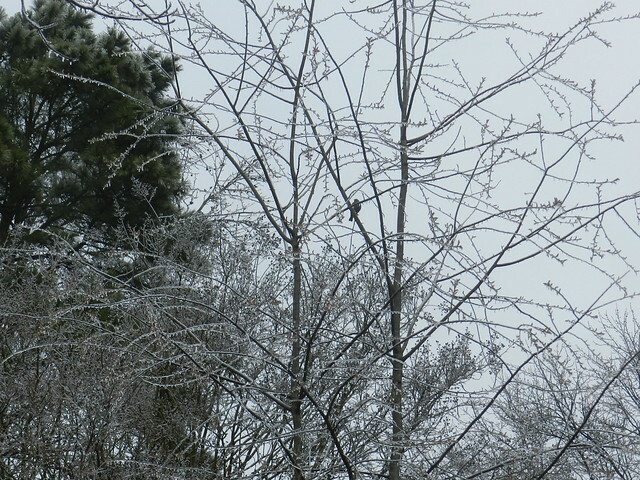 The ice on the tree buds below almost looks like barbed wire to me. 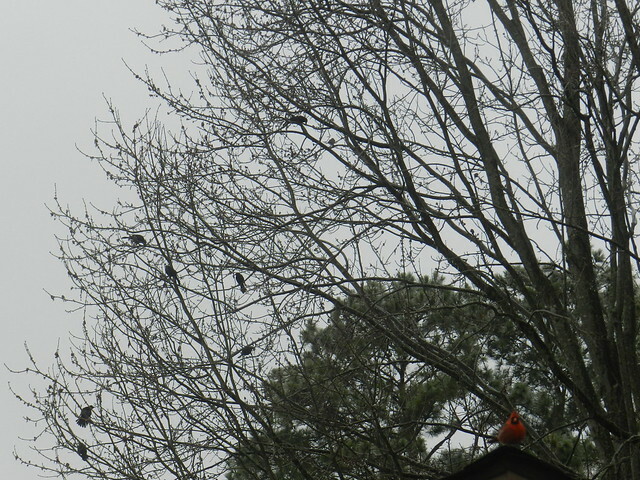 The bird was watching me put out cold weather treats. I do find this kind of weather fun to photograph. 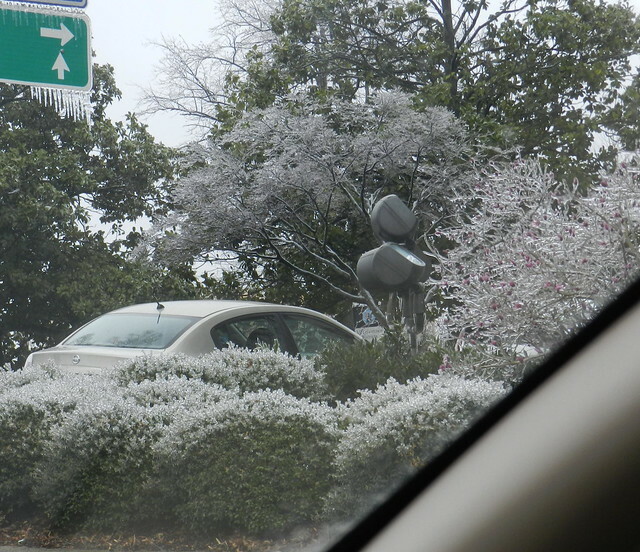 The ice on top of the bushes below almost looks like little flowers. Late Tuesday afternoon the temperatures inched above freezing. 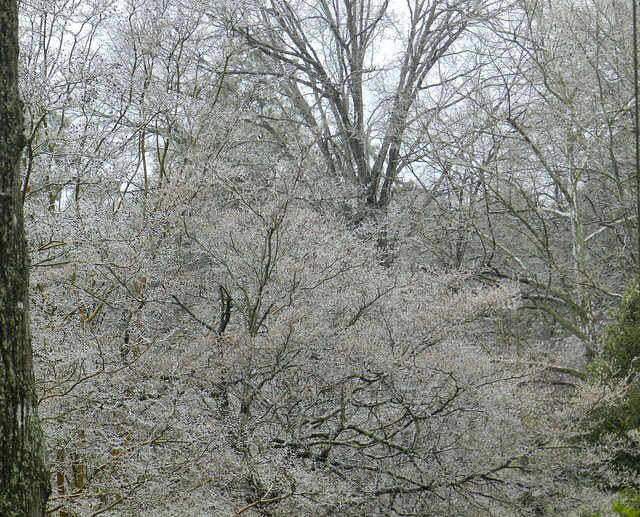 When the ice started falling out of the trees as it melted, an ice shower fell from the trees and I needed an umbrella outside to protect my head. If the sun ever comes out I'll investigate and see how the flowers have fared. 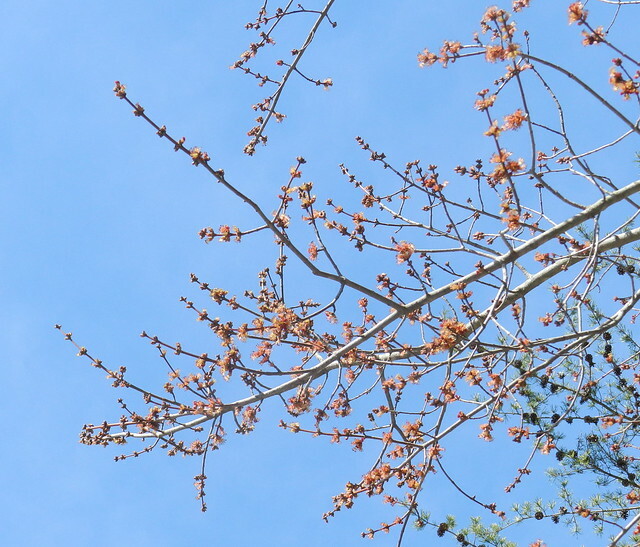 I know some flowers, both in the trees and on the ground, have already turned brown after the difficult weather. Lovely photos Carver. I think we are all looking forward to Spring. 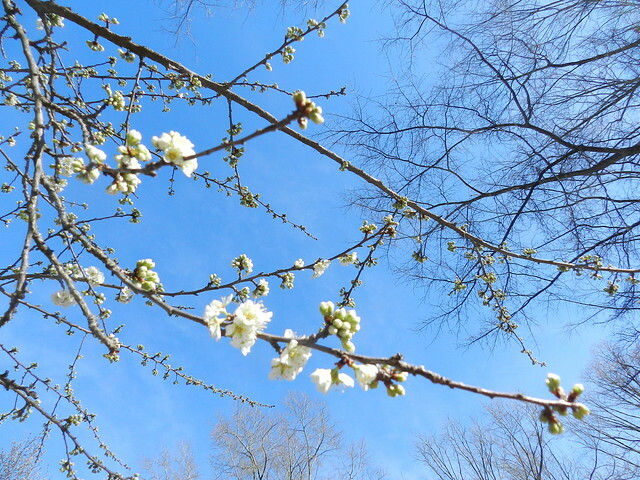 I don't like the hot and humid weather, but after so many snowfalls, the flowers will be a welcome sight. Particularly looking forward to seeing the dogwoods bloom again. Beautiful series Carver. It does look like barbed wire in that shot. Wow. Did you ever have ice rain! We did not. It's raining right now. The cats are ticked off! Lovely shots. The same thing happened here - right from spring to winter again. that is a yummy blue sky on the top of the post. we didn't seem to have a semblance of winter weather so i'm practically in spring mode for a while now. The weather changes quickly and I'm impressed by your pictures. Love the first image! Oh Carver, you beautiful in spring. I also see a recurrence of winter. 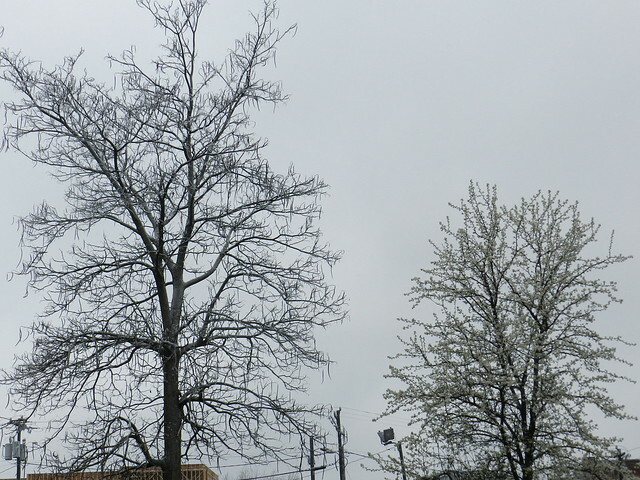 Well, of course, those happy blue, spring skies took my breath away, but the gray, snowy ones are incredibly beautiful as well!! Great shots for the day, Carver, regardless of the season!! Have a lovely weekend!! 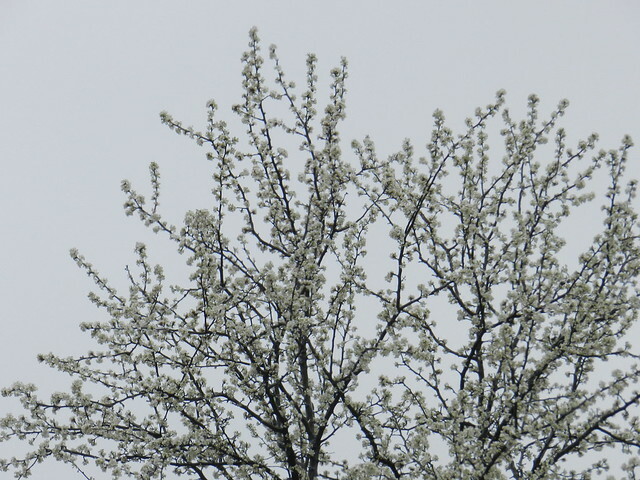 I can´t believe this...feel sorry for all spring flowers on the trees! I have never seen this before...!!! I wish you a warm and sunny weekend! Fantastic different photos,Carver!Have a great weekend! Wow..what a confusing weather! I sure hope the flowers will thrive after the freeze. This winter and the weather has been crazy... 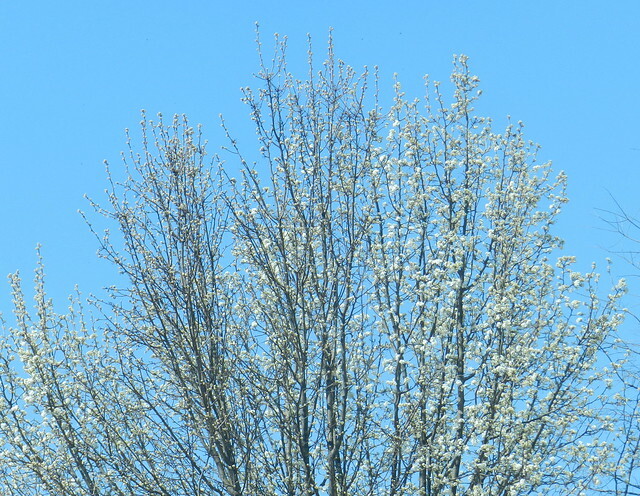 I love the pretty blue sky with the blossoms. Beautiful images.. Have a happy weekend! What a bummer after such lovely and promising beginnings! You do make winter look appealing -- your photos are magical. I have to stop and remember how much I hate cold toes and bones -- otherwise, I would wish to see these tree "ice sculptures" in person. I hope Spring finally comes to stay soon for you. Lovely icy shots, but like you, I am ready for spring. It snowed here again today. The ice does make for interesting shots, but time for Spring and the return to blossoms and blooms. Hope things fared okay with that burst of winter. Enjoying your changeable sky shots. What a beautiful series of pics..! Flowers makes me like spring time. 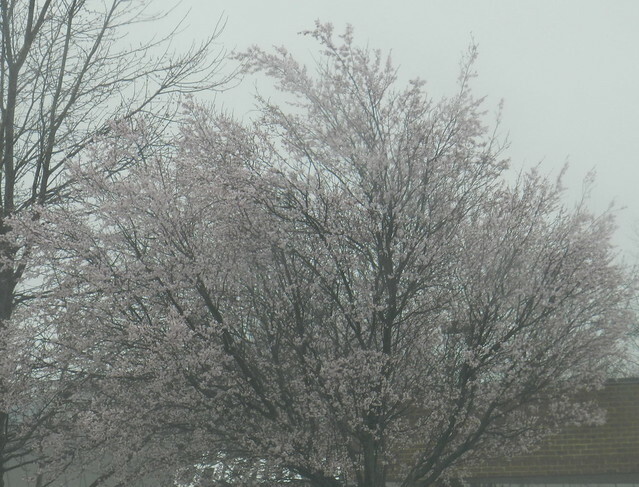 beautiful blossoms, even with icy coats! Really spring is wonderful.Nice collection of pictures.